MBA resume from a Pakistani Business Professional Home of the Make a Free Printable Resume! Utilized in an effective and efficient manner. 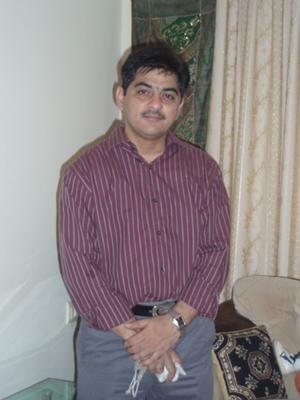 Academic	- Bachelor of Commerce from University of Karachi in 1990. Working in M/s. Johnson & Johnson Pakistan (Pvt.) Ltd. as Accountant. - Managing & Controlling Fund position of the Company. Software and also handling Online banking . - Recently, Managing & Controlling Imports of the Company. - Facilitate supply chain department in processing of imported goods. - Processing inland Local LC for export proceeds. - Processing FX dealing with banks for hedging and negotiating FX rate. - Processing and execution of import payments. - Filling Sales tax & Excise monthly return online. - Doing some corporate level work within JNJ. Sept.’97- Aug ’99. Worked as Supervisor Financial Accounting at M/s. Alpine Pharma (Pvt.) Ltd.
Nov. 96 - Feb. 97	Worked as Accounts Supervisor at M/s. Berger Paints Pakistan Ltd.
- Maintained Accounts of Subsidiary Company, J & N Pakistan Ltd.
May 95 - Nov. 96	Worked as Accounts Officer at M/s. Multi White Blocks and Cement Ltd.
- Worldwide Electronics (Pvt.) Ltd.
- Al - Noor Bulbs (Pvt.) Ltd.
- Al - Sadiq Industries (Pvt.) Ltd.
- Multiwhite Blocks and Cement (Pvt.) Ltd.
- Guardian Leasing Management Company Ltd.
- Crescent Travels Services (Pvt.) Ltd.
- Vision Travels (Pvt.) Ltd.
- Kohinoor Multipurpose Industries Ltd.
- Haji Noor Elahi and Sons. of Stock and Related works. - Familiar with the Knowledge of Computer.